Senators debated a proposal March 12 to place a social worker in each of the state’s 17 educational service units to aid students with behavioral and mental health problems. Introduced by Fremont Sen. Lynne Walz, LB998 would create a collaborative school behavioral and mental health program. Once the initiative receives $3.6 million in funding, each ESU would hire a social worker who would train teachers and school personnel and work with parents, schools, behavioral and mental health care providers and other resources to connect students with services. “This is a great step in connecting schools, students, families and resources by collaborating and bringing all players to the table to make sure that kids are being successful in school,” Walz said. Walz said that private donors have agreed to fund the program for three years. After that, each ESU would determine the program’s cost in its service area. If the ESU decides to continue, the program’s cost would be shared by the ESU, school districts within the ESU, state general funds and private donations. The program would end if its costs exceed the ESU’s available funds. A pending Education Committee amendment would authorize ESUs or the coordinating council to hire a social worker but would not require them to. It would require that, if an ESU extends the program beyond three years, the ESU, school districts within the ESU and private donors would pay for it—not the state. Elkhorn Sen. Lou Ann Linehan agreed that student behavioral and mental health is a concern for schools across the state. 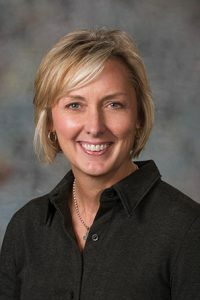 But she questioned whether the proposed number of social workers would be enough to serve the estimated 35,000 Nebraska students in need of services. Linehan introduced an amendment to the committee amendment that she said would make each social worker more effective. It would require each school district with which a social worker interacts to designate a contact person for that social worker at each school in the district. 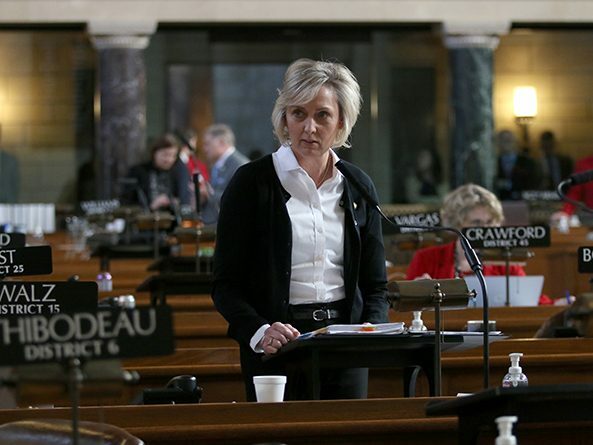 Sen. Kate Bolz of Lincoln supported the bill, saying that the program is based on the Connections project, a collaboration between Omaha Public Schools and Project Harmony, a child advocacy center in Omaha. An independent evaluation suggested that Connections, which identifies children in need of mental health services and matches them with providers, can be a sustainable approach for improving the behavioral and mental health of children, she said. Also in support was Sen. Sue Crawford of Bellevue. She said the proposal is an opportunity to provide three years of mental and behavioral health services to students across the state, including those in rural areas where such services are harder to find. Sen. Matt Williams of Gothenburg also supported the bill, saying that such a program could have helped a 17-year-old student who was suspended from Gothenburg Public Schools last week after allegedly making terroristic threats. If students fear for their safety, he said, they will not be able to concentrate on learning. “If we want our kids to thrive … we need to provide them with a safe environment, and oftentimes our teachers and administrators are not fully equipped to be able to do that,” he said. Sen. John Kuehn of Heartwell questioned whether a statewide program is necessary. If an ESU needs to hire a social worker or start a program modeled on the Connections program, he said, it already may solicit private funding or apply for grants. Kuehn said he also is concerned about the degree to which a private donor’s intent could influence the program. “I guess I would certainly like to see some sort of restrictions or qualifications or an explicit separation between the source of any funds and how decisions are made,” he said. Sen. Steve Erdman of Bayard opposed the bill. Once the initial funds are spent, he said, an ESU that decides to continue the program could use property tax dollars to pay for it at a time when farmers already are suffering from high property tax bills. Sen. Mike Groene of North Platte said that the bill is “well meaning” but unnecessary and that it would duplicate services already provided by the state Department of Health and Human Services. Groene, chairperson of the Education Committee, said he would vote against the bill on general file. He said he voted to advance the bill to debate on the floor of the Legislature so that the public could understand that the major discussion in public education in recent years is not about reading, math or civics but about providing mental health services to students. After three hours of debate spanning two days, the Legislature moved to another item on the agenda. Per a practice implemented last year by Speaker Jim Scheer, the sponsor of a bill that is facing a potential filibuster must demonstrate sufficient support for a cloture motion before the measure will be scheduled for additional debate.